Excellent project management knowhow is the best foundation for excellent project results. In an ever more competitive and global business environment, successful projects and thus, successful project management, are getting increasingly critical for overall business success. What do we need in order to get successful projects? "The best project management tools – that's all we need to be successful with our projects." This is what we frequently hear in our project management seminars, workshops, or in coaching sessions. When asking the clarifying question "how do you define the term 'tools'?" we often get the answer: "Well, that's software, templates, and checklists, isn't it?" We think that these things are definitely part of the picture. For successful projects we do need good project management software, templates, or checklists. On this web site, you will find some of them, or helpful links. How can we find the right projects? How can we do our projects right? On this web site, we give our answers to these questions in form of a practical approach. It is a structured compilation of the project management knowhow we found in literature, in our own project management practice, and in countless discussions in project management trainings, seminars, workshops, consulting, or coaching sessions. The basic definitions and observations from real life, outlined in The Fundamentals of Project Management. The central project management process and its phases (PM Process, Definition Phase, Planning Phase, Implementation Phase, Closure Phase), how it is translated for different types of projects, and the most important supporting processes. 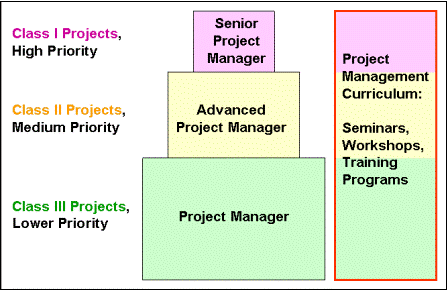 These sections give us the wider view of what we consider project management tools. How we can create and manage our organizational environment for successful projects, summarized in Project Portfolio Management. A successful project management career. Best practice sharing in project management, in form of Case Studies. Project management products and services like training, consulting and coaching. Free Downloads, including free project management tools, templates, checklists, recommendations of software and a free Online Project Management Course.